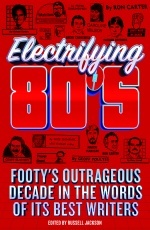 The Brownlow Medal is the most prized individual award in Australian Football. The medal, awarded to the League's fairest and best player, has a proud history ever since Geelong's "Carji" Greeves was the inaugural recipient in 1924. 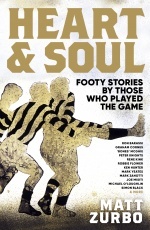 The Brownlow – A Tribute to the Greats of Australian Football tells the story of every winner in a collection of essays and interviews, complemented by strong photography. 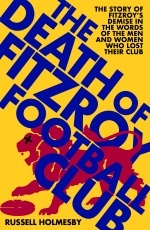 There's Ivor Warne-Smith, who won the League's highest honour twice despite being gassed in World War I; there's Barry Round, the oldest winner at 31 years and 238 days, with 258 games' experience; there's Jim Stynes, the Irish recruit who first heard about football in his late teens. Each member of this special family has a story to tell. 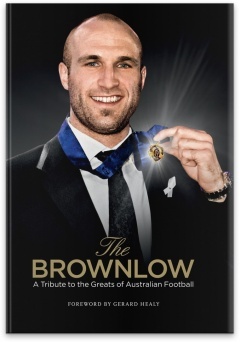 This updated edition of The Brownlow – A Tribute to the Greats of Australian Football features interviews with all the Brownlow medallists since 2003, including Collingwood legend Nathan Buckley, former Eagle-turned-Tiger Ben Cousins, and the most recent recipient of the award, Chris Judd.